Facebook Like box also termed as Facebook Fan box has always considered as the most significant part of a website. It allows the Blog owners to provide their users with an easy and convenient way to join their Facebook community with just few clicks. A person that joins your community on Facebook would receive updates directly into this news feeds. 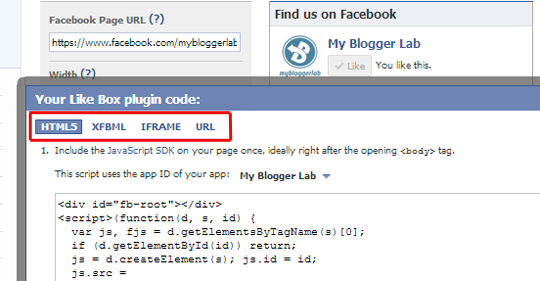 Though, we have already covered how you can add a Facebook like button in blogger? 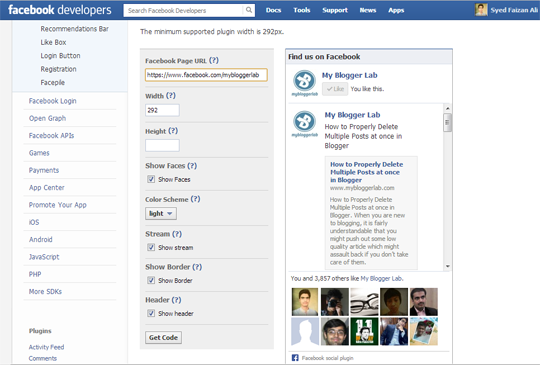 However, in this article, we will show you how to add the Facebook fan box in Blogger. Since, it is possible to add a Facebook Fan box manually then there is no need to use wired plugins or gadgets that might decrease the speed of your site. The first thing you need to do is to go to Facebook Social Plugin’s Like Box page. Now enter the complete URL of your Facebook Page for which you are willing to generate the fan box. It entirely depends on you how much customization and configuration you needs. Now press the “Get Code” button to get the coding that you will be implementing on your site. Facebook provides a plenty of options for implementation. You can choose from various options like HTML5, XHTML, IFRAME or URL. For us HTML5 is a standard option. However, XHTML also works pretty well. Try to use IFRAME if the above two option does not works for you. Congratulations: Your Facebook Like box is ready, now go and check your site to see it whether it is working perfectly fine or not. If you still face error, then try the alternative methods. 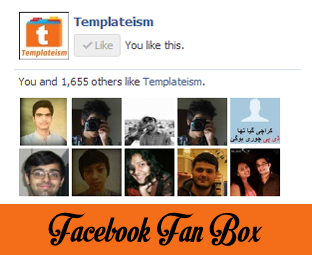 We hope this article has facilitated you in adding Facebook Fan Box in Blogger. Let us know which method you are using, what are the reasons why you use them, any advantages of like box in your eyes. If you like the article, why don’t you follow us on FB? What i do for create a popup facebook like box function? Whats so unique they are basic steps that almost all bloggers know.I have started to ignore MBL because of this kind of posts.I might seem rude but the content level has really dropped down. Yeah, Dude. I can Understand your worries. In fact, we really want to bring new things but the truth is that we have almost covered everything. Though, I think its time to bring some really cool widgets because others too started to ignore MBL. MBL keeps me least interested.. It's just that they have to come up with something new or i'll just ignore them..I have already removed MBL from my bookmarks. But i seriously awaits for the day when the content quality shall raise up and that will be the day when i will be adding them back to my favorites Bookmark..
Also the same is With MBT .Qasim was just beating around the bush and Neida seemed the worst option.I feel it's time that these guys just stand out the crowd.They have got much to prove. PEACE I Meant no offense ! these are hardly spoken facts. Well, You Should get ready to get us back in your Bookmark list because we are soon gonna publish really interesting articles. Hey bro! Can you please name that font used in the display pic at top? I am blogger since 2007 , still don't know many idea of MBL. I don't think such comment should required team attention ,you are doing good Job ,and we love it . so keep blogging simple things also. SIr pop up facebook like box kis taraha hoga Kindly help me.